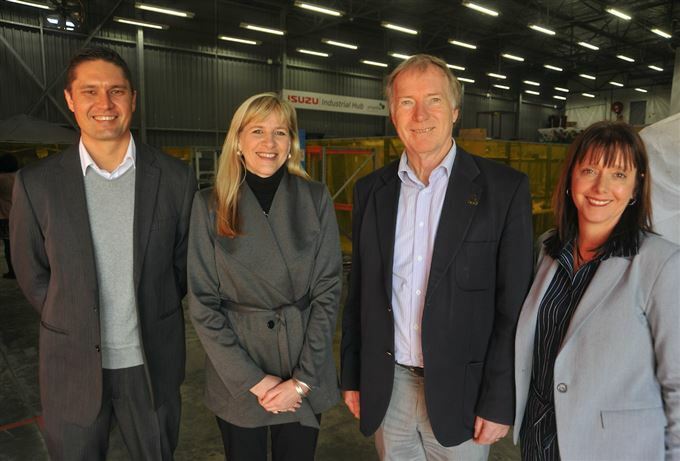 Isuzu Motors South Africa has announced its alliance with the Propella Business Centre in Port Elizabeth, through its investment in the Isuzu Industrial Hub over the next 3 years. Located at the Propella Business Incubator, the hub will champion disruptive technology and innovation in the advanced manufacturing sector. The Isuzu Industrial Hub is open for applications all year round - subject to pre-screening assessments. Applicants can either be virtually incubated, or physically incubated at the hub. The programme lasts three years and the incubatees are assigned "moaches" (a combination of a mentor and a coach), as well as an advisory board. As part of the new partnership agreement, five of Isuzu Motors South Africa's black automotive component suppliers will also benefit from virtual incubation support provided by Propella, ranging from mentoring to business development assistance. Isuzu has also donated an Isuzu bakkie to Propella, which will be used for industry visits by Propella staff as well as the transportation of materials as needed. "The vehicle will make it possible for us to onboard new projects like a smart city vertical Urban Farm as the vehicle would be utilised to take product to market and will essentially enable us to develop a business-in-a-box concept," said Palmer. The overarching vision of Propella is to create a Smart Hi-Tech Incubator for a Smart City. Propella supports specific advanced manufacturing and energy sectors, industry cluster development and supply chain optimisation. Propella also received robotic welding cells donated by industry in order to assist with developing technical incubatees for supplying component parts into the local automotive and engineering sectors.